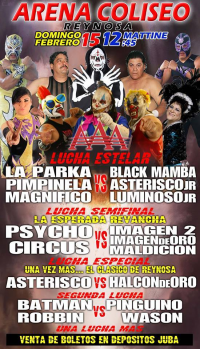 5) La Parka, Magnífico, Pimpinela Escarlata vs Asterisco Jr., Black Mamba, Luminoso Jr.
Cibernetico interfered, but the Psycho Circus still won. 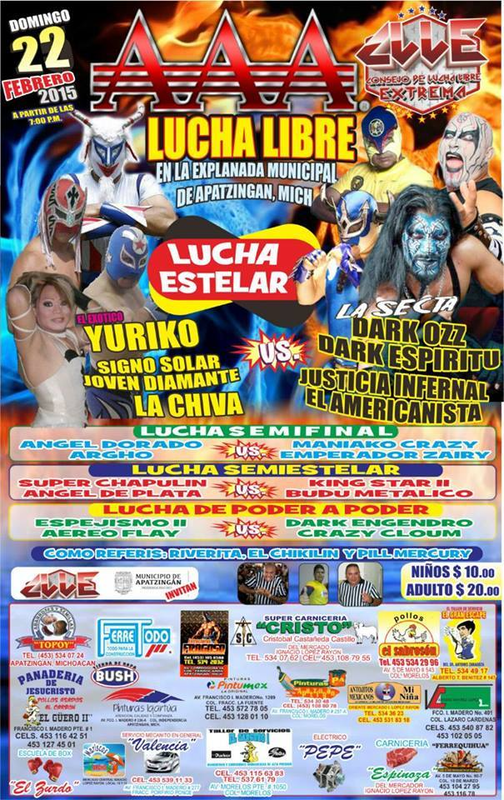 Debut of Kronoz, who's been hanging out with Electroshock & Hijo del Pirata in vignettes since the start of the year. 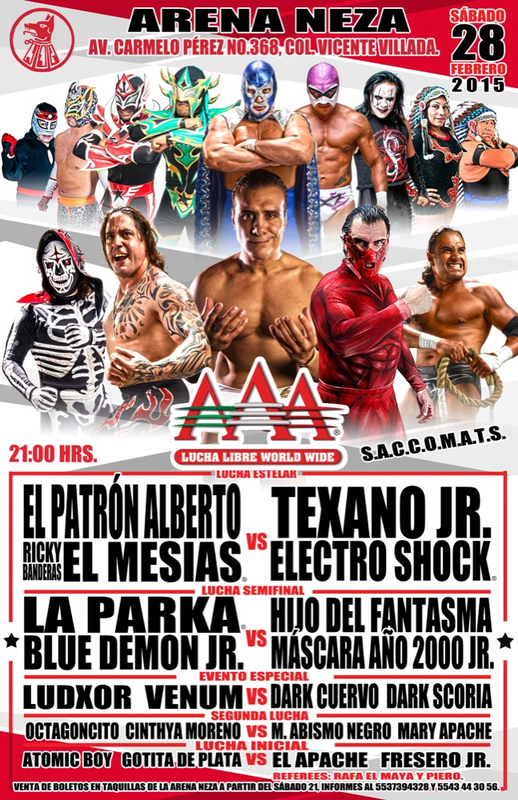 Alberto's first match in this building since September 2007 (when he also teamed with Demon!) 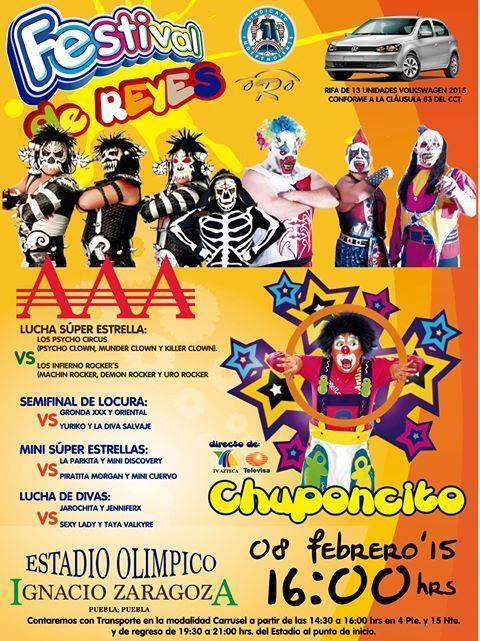 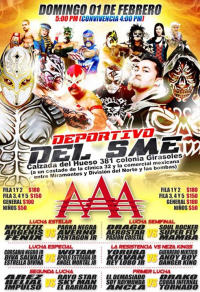 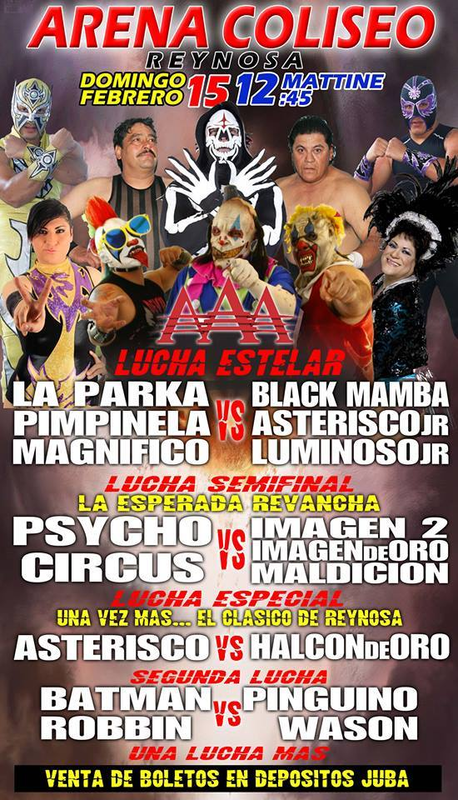 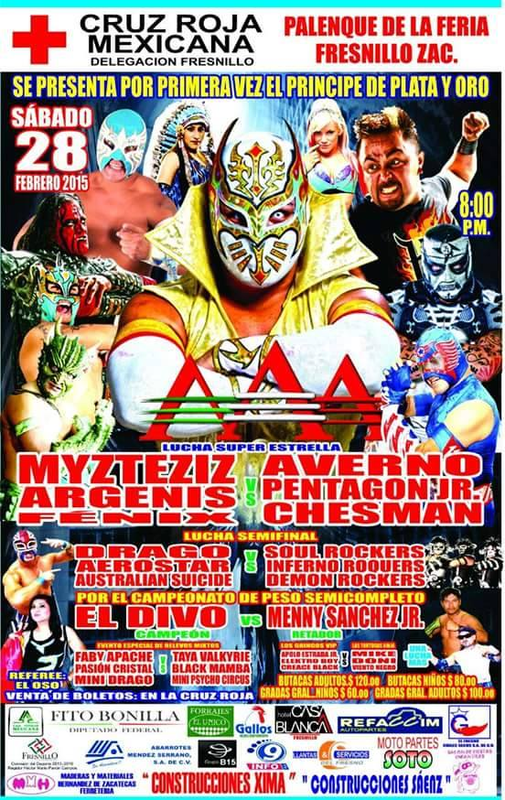 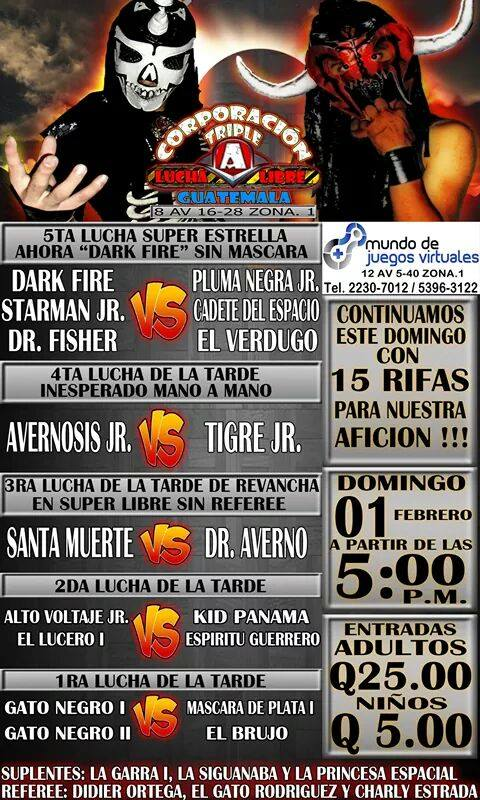 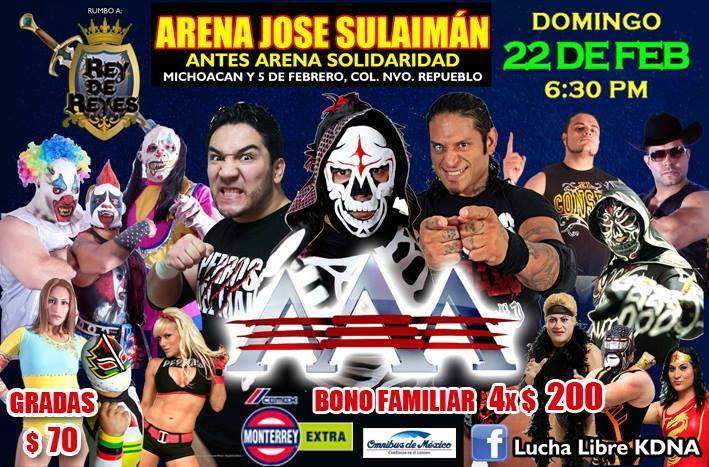 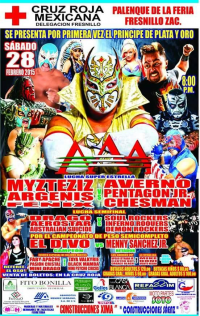 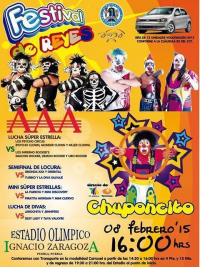 Fenix and Fantasma added to this match. 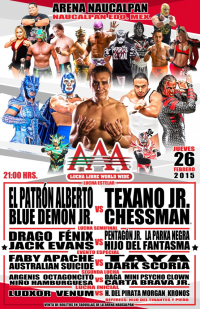 Tecnicos took 2/3, Alberto beating Texano to win. 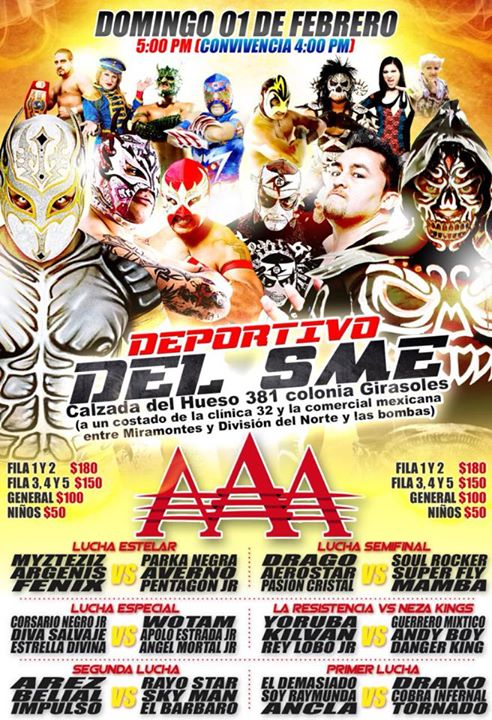 Divo asked for a rematch. 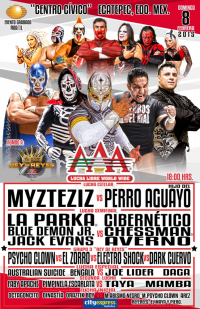 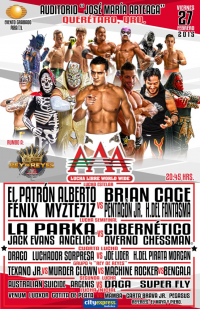 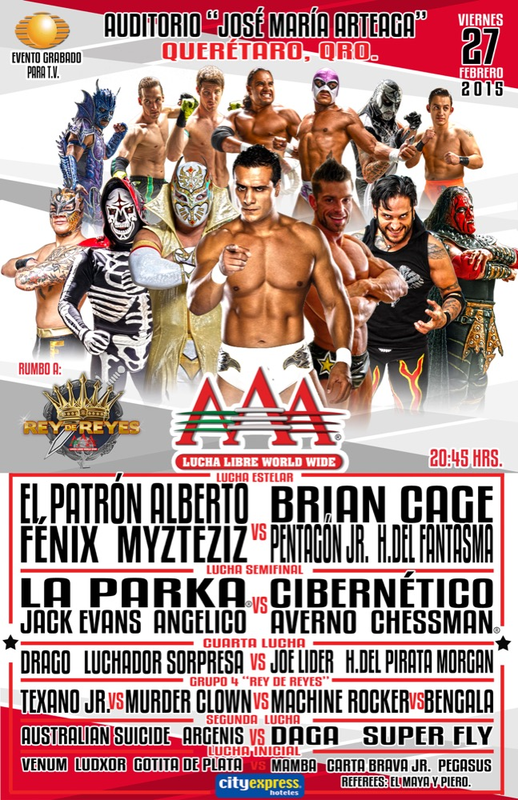 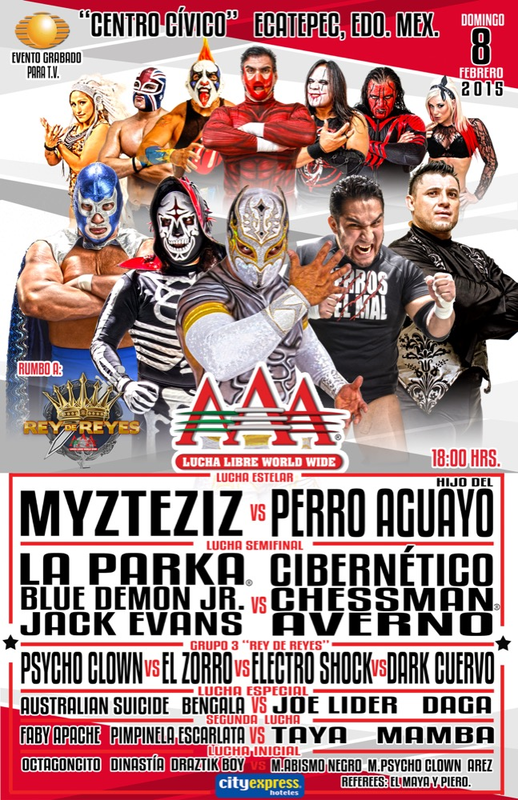 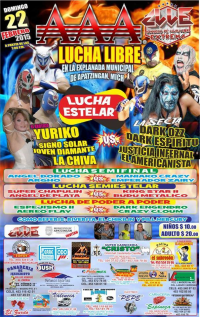 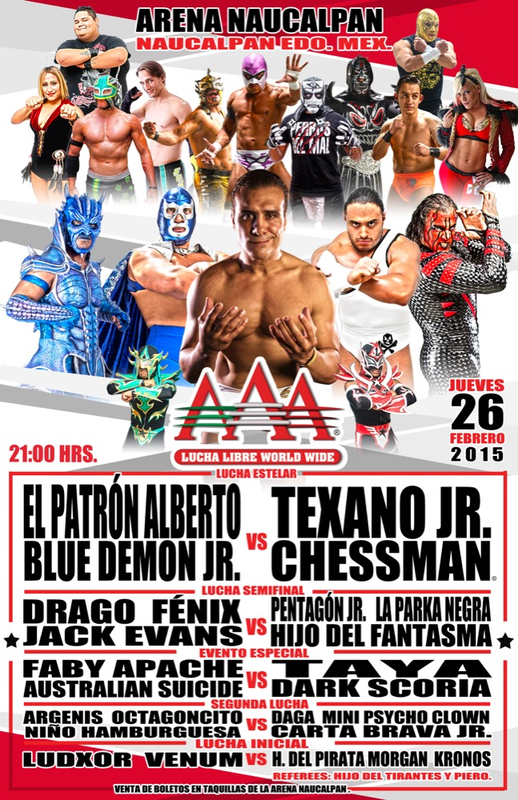 5) Argenis, Fénix, Myzteziz b Averno, Chessman, Pentagón Jr.